Winter Wonderlamp returns to MoMath! Winter’s looking brighter already! Fold together symmetry, origami, light, stability, translations and more as the popular geometric lamp-making workshop from January returns for a full three days of possibilities. Winter Wonderlamp is designed for participants age 10 and up, but some younger participants will be able to manage the folding with assistance. Use patience and iterative folding techniques to create stunning paper lamps to take home in these afternoon and evening workshops. Register for the 6:00 pm workshop. *Registration for the 2:00 pm workshop includes the cost of admission to the Museum. Teachers: Learn how to bring this stunning geometric workshop to your students! Join educators from the International Grammar School in Sydney, Australia to learn the techniques behind these lamps and the best way to teach them to a full classroom. You’ll also have the opportunity to purchase lamp-making kits to bring in to school with you. Register for the teacher workshop. 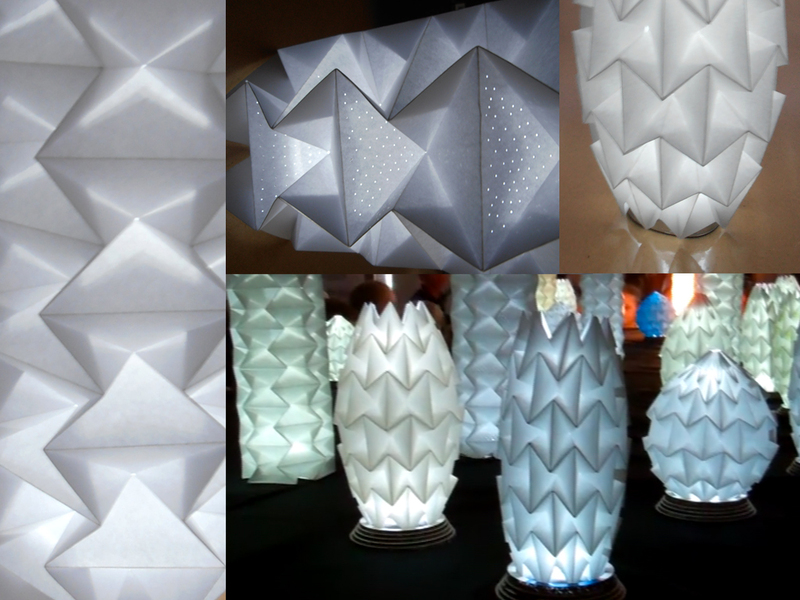 Teachers: Bring Winter Wonderlamp straight to your school with in-school workshops! School visits can each accommodate up to 40 students, and schools should provide a teacher and three additional adult volunteers. Please note that this is for schools in New York City only. Register for a school visit.